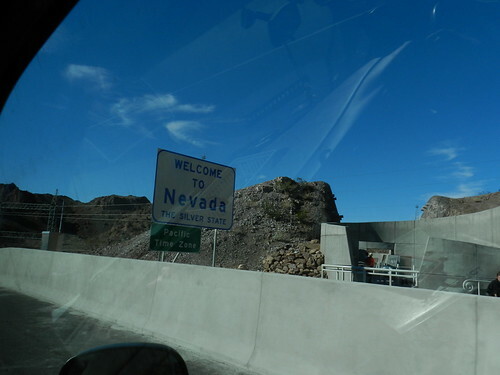 Mali Mish – Day 10: Prescott to Las Vegas via Hoover Dam. Prescott has been a great little detour for us. We got a great camping spot with a solid wifi connection so we got a bunch of work done. We got full hook ups so we can take long showers, run the heat pump and charge up our batteries. 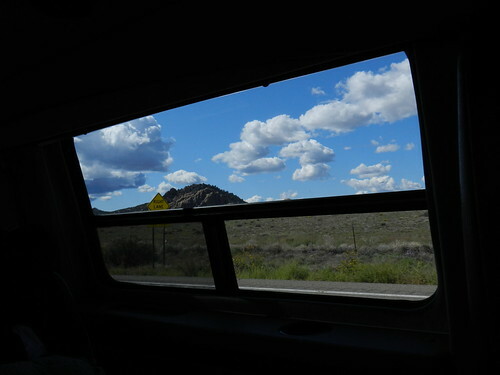 We are mostly glad that we missed all that bad weather we were suppose to have gotten in Flagstaff. As much as we enjoyed our stay here, it is time to pull up our stakes and move on. The weather around Prescott today is just awesome. Puffy clouds all over the blue sky with no wind at all. It was so nice we decided to stick around just a little bit longer and get a quick bite to eat. On our way out, we looked for a restaurant to stop to eat. 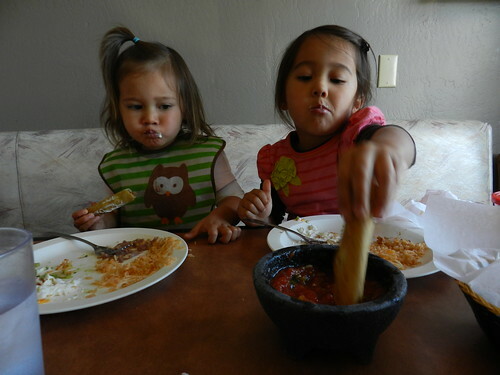 We were craving Mexican food and lucky for us, we found Arturo’s Mexican Restaurant right down the road. I was traveling to Prescott AZ yesterday and saw your rig in Chino Valley Az. I was somewhat concerned since I thought you were still in Croatia. I wanted to touch base in case you did not know your rig was MIA. If it was you guys in the rig…. was the Mexican food any good? We told Missy that she should have stopped by to say hello and that no one has stolen our trailer. We would have happily shared our table with a fellow Airstreamer. Our modest little niche blog has just a handful of readers and the chance that one of them would drive by and recognize our trailer while we are on the road is probably a one in a million. It felt great to know what people are looking out for us. After our lunch we headed back up towards I-40 and on our way to Las Vegas. We have been to Las Vegas probably close to 100 times in our lives but have never once brought Mali Mish there. It never made sense to do it because hotels are so cheap that the extra gas money makes it not worth while. 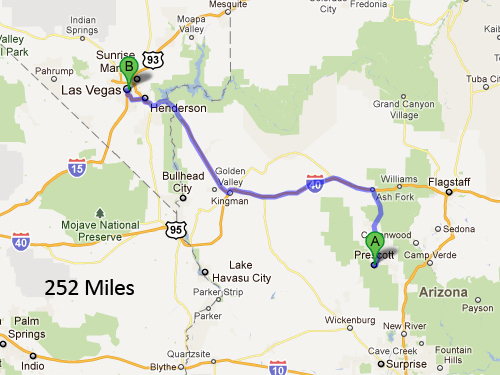 The 252 miles from Prescott to Las Vegas takes through a part of Arizona and Nevada that we have never been through. 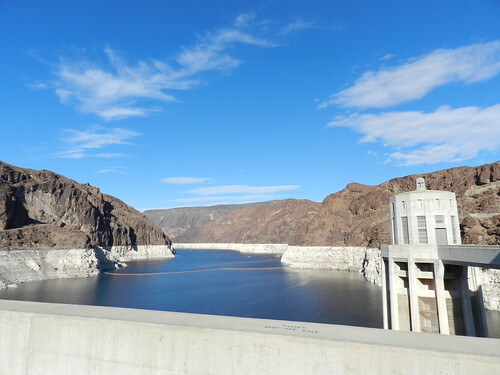 It also happens to take us right across the Colorado River and over the world famous Hoover Dam. 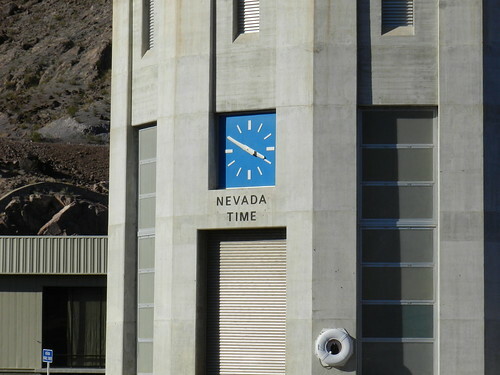 We have never been to the Hoover Dam and didn’t really know what to expect. I have always thought that the highway goes right across the dam but apparently not so. 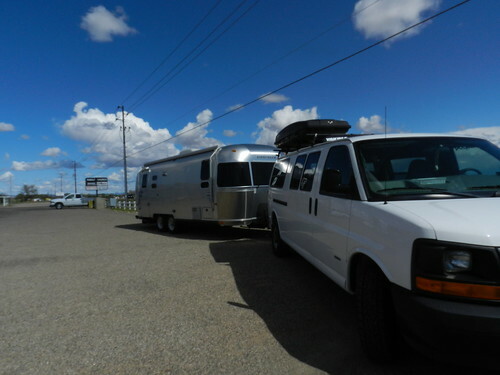 In fact, the security was pretty tight at the entrance that we had to stop and show the security personnel the inside of the Airstream as well as the cargo box. 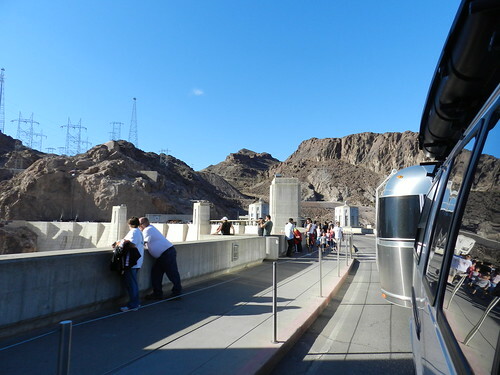 There were a lot of tourists visiting dam and parking the van with the Airstream wasn’t easy. When we did find places to park along the road, every parking spot wanted to charge us an arm and a leg just to get out and cruise for a minute. We drove around and probably saw all we needed to see of the dam and snapped some photos of this engineering marvel from the car. By now, we have spent a good 4 hours on the road and the girls are getting antsy and hungry. 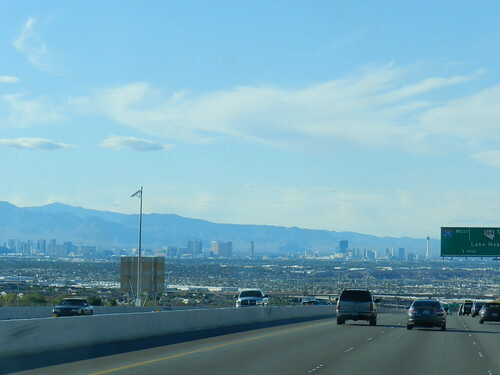 Time to wrap up this leg of our trip and head for a Las Vegas buffet. With the strip in view, our collective stomachs started to growl in unison. We stopped at our favorite Vegas casino, the Silverton. Ava is a big fan of their shrimp. 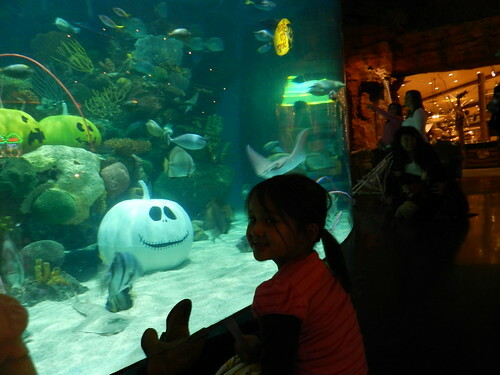 And their Halloween-themed aquarium in the lobby. Being it was too late to check into a campsite, we needed to find a spot to boondock. Surprisingly, most casinos do not allow overnight parking here in Vegas. As opposed to various Indian casinos around the country who graciously embrace RV travelers in their parking lots for a nights stay in exchange for some business, Las Vegas appears to have a policy against us. If there is a will, there is a way. We are going to sleep in a parking lot tonight whether Vegas likes it or not. 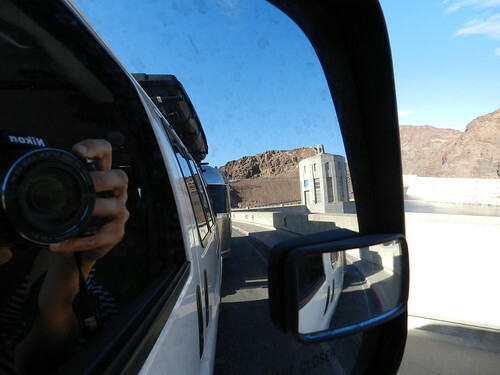 Day 11: Boondocking at a Casino and Camping at a Shooting Range. 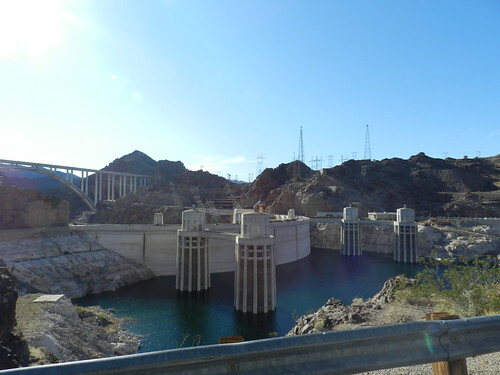 5 Responses to Day 10: Prescott to Las Vegas via Hoover Dam. We enjoyed camping at the Sam’s Town RV park; was only ~ $17/nt for full hookups in the off-season and in a reasonably convenient location. 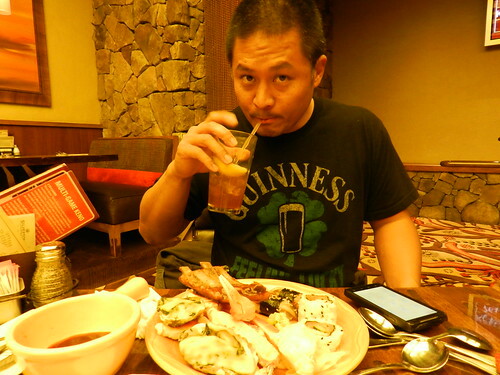 We are going to take this same route soon..the hotel food looks good, we will try it. 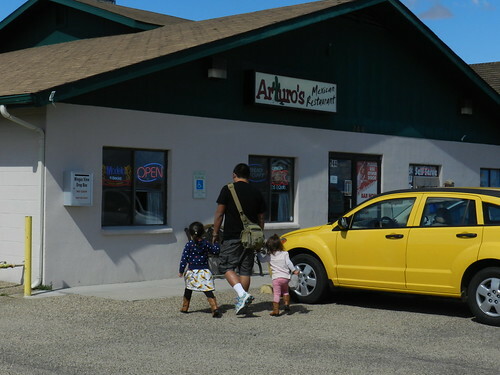 Was Arturo’s any good? Saw it again yesterday but still have not stopped. @Missy, thanks again for looking after us 🙂 Artuto’s was the kinda road food one could expect. Nothing very exciting but just what we were looking for. The Silverton Casino is nice because it is kid friendly and recently renovated. It use to be called Boomtown Casino and is a local favorite. We sometimes would just go for for a few days mid week just to get away for awhile and let the kids swim in the pool. The rooms are only 40 bucks a night Sunday thru Thursday. @Joshua We looked up Sam’s town and thought about giving it a shot. I also heard that if you gamble, they will accommodate you at the RV campground for free. It was too late and we did end up finding a RV friendly Casino for a night before heading out to a county park campground. Hope you guys come through CA again soon so we can meet up for a kid play date. Thanks Dan, we will have to try it. Sounds better than most Arizona food. Stumbled upon your blog this morning. 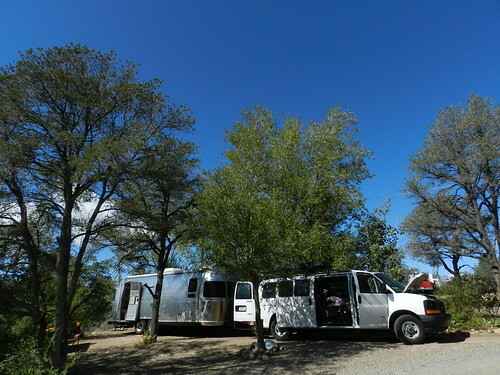 I always look for Airstream travelers to see their adventures. out. It is very user friendly and organized. Look forward to seeing more.